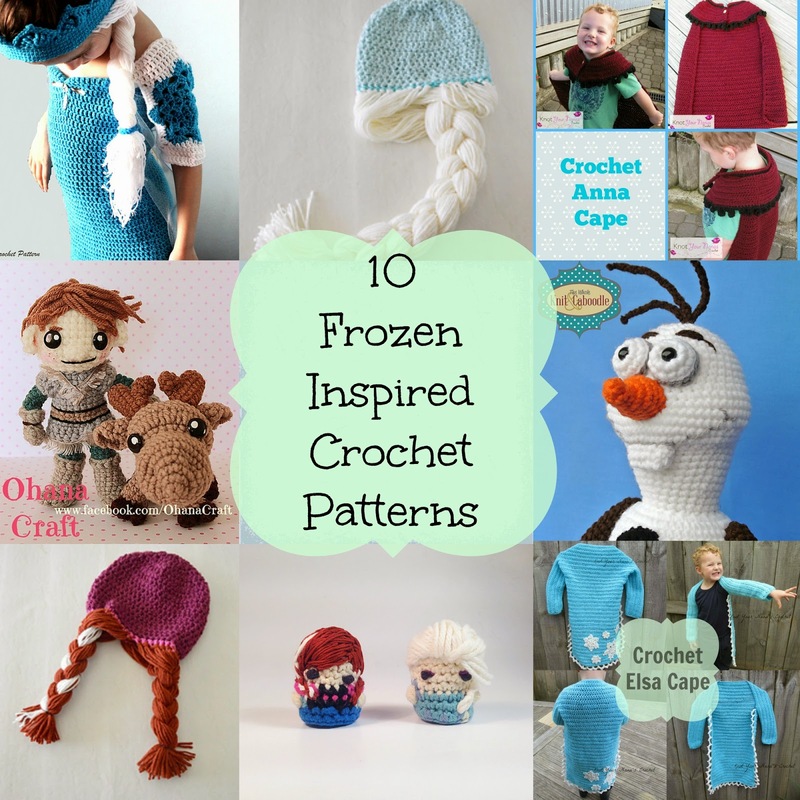 Knot Your Nana's Crochet: 10 Frozen Inspired Patterns. 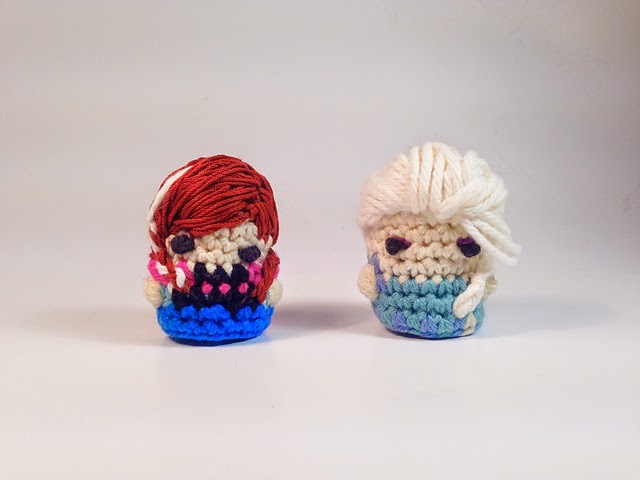 My kids love anything to do with the Frozen movie. Here is a roundup of 10 patterns inspired by the movie. I am sure there will be something here your children will love. 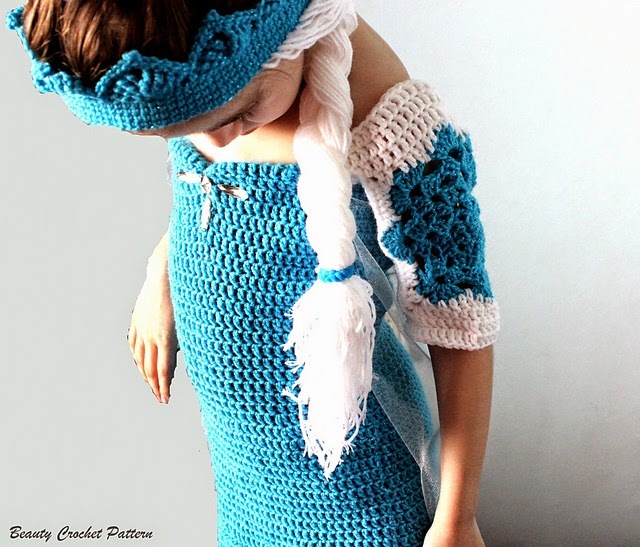 This Ice Queen Dress and Crown Pattern from Beauty Crochet is perfect for any little girls dress up box. Do you wanna build a snowman? 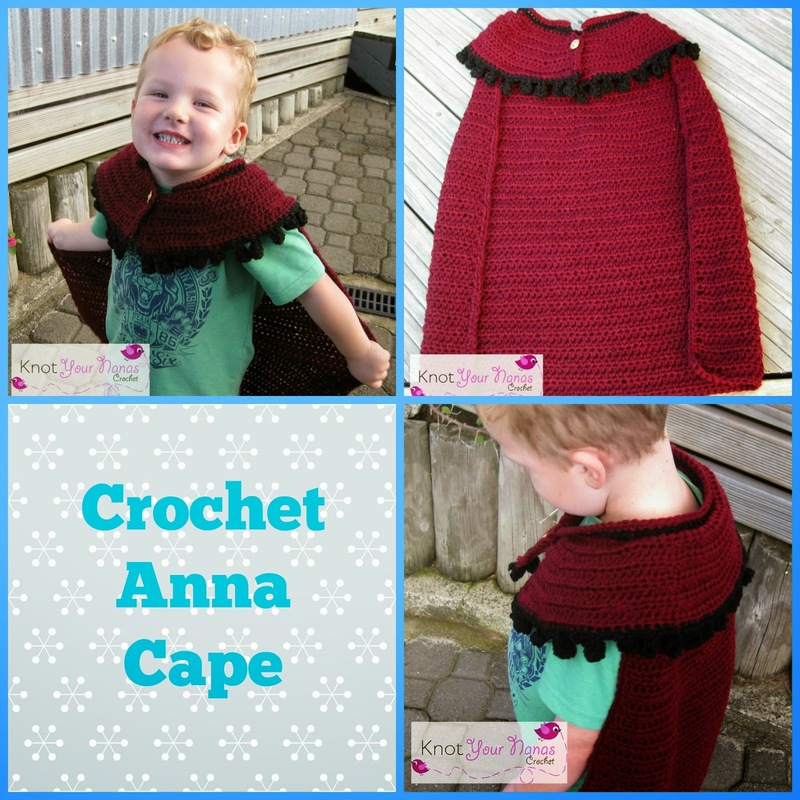 Or maybe just crochet one? 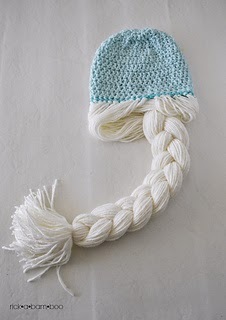 This Snowman Companion softie from The Whole Knit and Caboodle is the perfect pattern for you. The body is worked in one piece for less sewing. Ohana Craft has the complete set of characters from the movie but these are two of my favorites. How cute is the Sven softie? These mini amigurumis from Louis Mesnsinger are only 2 inches tall. Perfect to add to a key chain. This is a pattern for Anna's Boots. 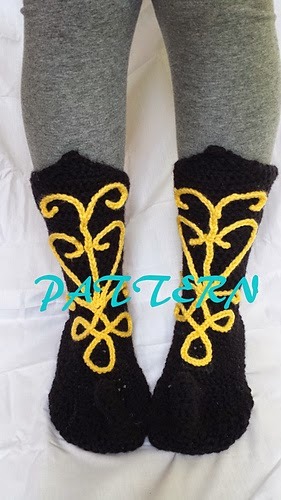 Pattern is a tutorial that will show you how to make the boots in any size. She also has a pattern for Kristoff's boots. 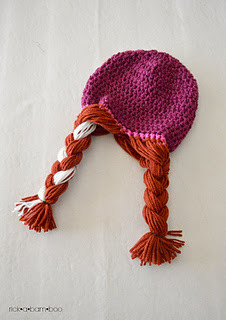 These patterns come with instructions to make hats in toddler, child and adult size. Another great item to add to your dress up box. 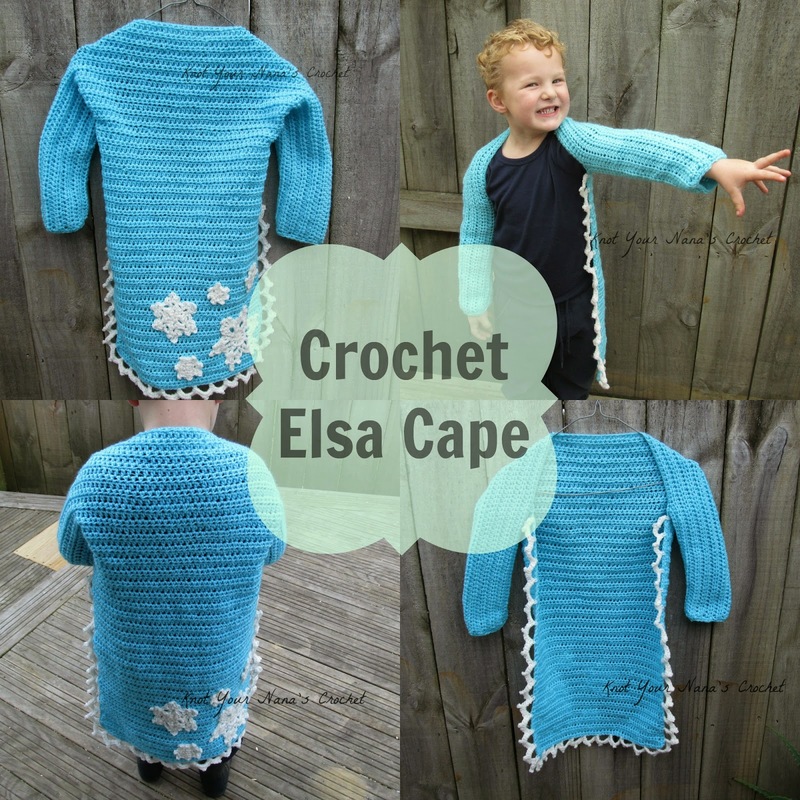 This free frozen inspired pattern is written to fit a 4 year old but is easily adjusted. Why not make two capes so your child can chance between characters? This is a simple pattern with instructions to make it to fit a 4 year old but also has instructions on how to adjust the size.